Lufthansa has announced its largest ever order for 59 Airbus and Boeing wide-body jets in a deal worth 14 billion euros ($18.7 billion) at list prices that will see it launch a new version of Boeing's 777 jet. 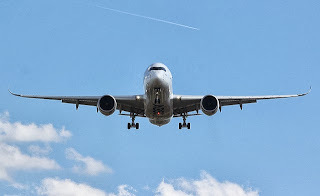 The airline’s supervisory board approved the deal at a meeting on Wednesday, committing to 34 777-9Xs and 25 A350-900s. 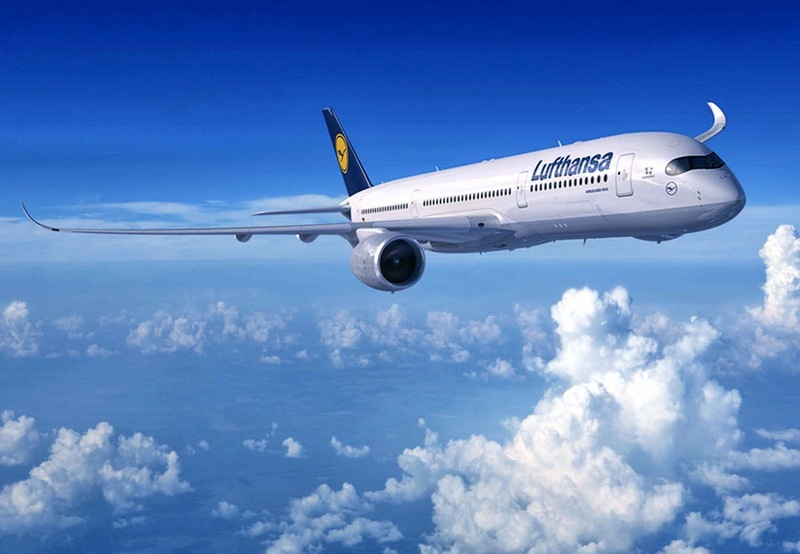 The first A350s are due for delivery in 2016, and the first 777X is expected to arrive in the Lufthansa fleet in 2020. Lufthansa says it has the flexibility through options and purchase rights to increase the 777X order to 64 units and the A350 commitment to 55 aircraft. Lufthansa could use options to buy A350-1000s, its CEO said. 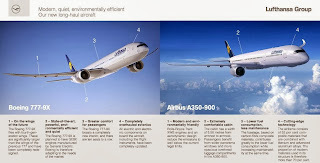 "You can assume that Lufthansa always tries to ensure flexibility in orders like this," he said when asked whether Lufthansa could use options to buy the largest variant of Airbus's A350 family instead of the A350-900. 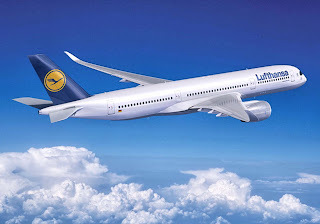 Lufthansa plans to replace 13 747-400s and 17 A340-300s. Should the airline decide to cut capacity plans further, it would also start retiring its fleet of 24 A340-600s. The order is for the core airline only, but the group could use options to renew the long-haul fleets at Swiss or Austrian if needed. As part of the deal, Lufthansa has also reached “strategic agreement” with Rolls-Royce to be allowed to perform maintenance on the TrentXWB engines. Lufthansa plans to operate the A350-900 in two-class and three class configurations. The airline’s future long-haul fleet will consist of A380s, 747-8s, 777-9Xs, A350-900s and A330-300s, once all of its A340s are phased out. The carrier decided not to order the 787 for a variety of reasons. “The 787-9 is too small for our requirements and the 787-10 does not have the necessary range for around 40% of the destinations,” says Carsten Spohr, CEO of the passenger airline division. Based on the article “Lufthansa could use options to buy A350-1000s – CEO” published in Reuters and on the article “Lufthansa Commits To 777-9X and A350-900” published in Aviation Week. Great to see another Airline split their order between the two manufacturers!